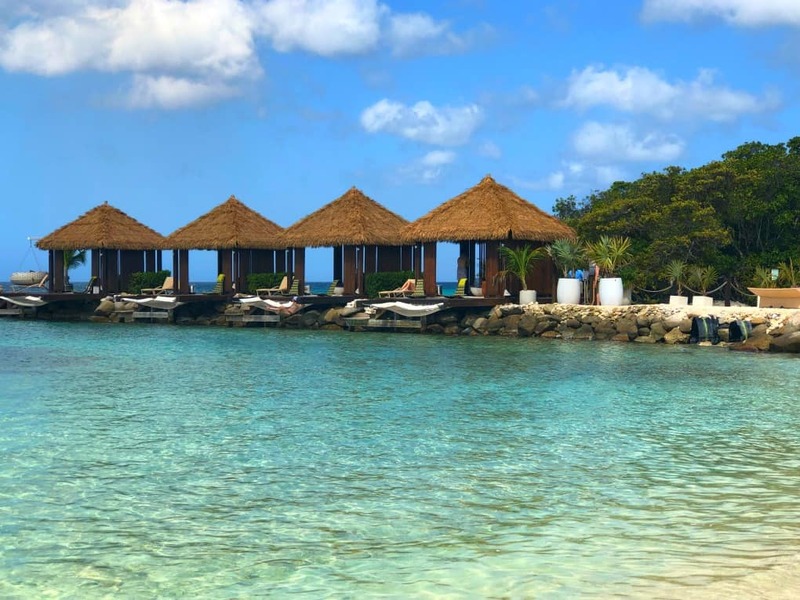 Aruba Travel Guide - How to Build the Perfect Vacation! Ah, vacation nothing better, right? Part of the fun of vacation is leading up to it, the research, deciding where to stay, how to get there and what to do while you are there. 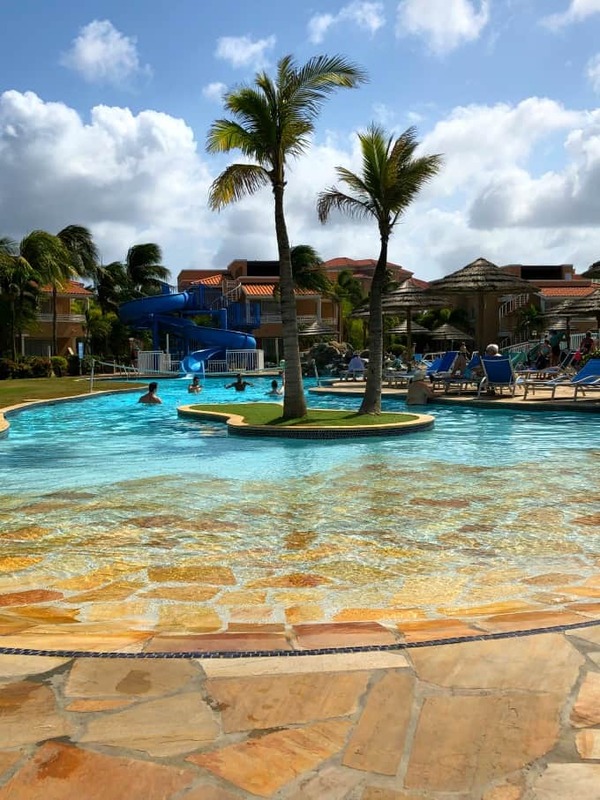 Recently I went to Aruba with my two girlfriends and I knew I wanted to share with you this Aruba Travel Guide when I got home. Besides total rest and relaxation there are fun things to do on this, ” One Happy Island”, as the locals call it. Aruba’s history dates back centuries to its ancient Caiquetio Indian roots. It then went through both Spanish and Dutch rule to its modern day situation as a constituent country of the Netherlands. The official languages of Aruba are Dutch and Papiamento which is a mixture of Portuguese and Spanish with considerable influence from the Dutch language. Everyone that we encountered also spoke perfect English. Aruba is located in the southernmost part of the Caribbean Sea just 15 miles from the coast of Venezuela. It is out of the hurricane belt which makes travel to Aruba year round. The summer months are hotter and more humid with less wind as when it is hurricane season in the rest of the Caribbean is it calmer in Aruba. So hold onto your hat in the other months as Aruba can get windy but it is that wind that keeps you cool. What is the Best Time to Travel to Aruba? The prime time to go to Aruba is January to March but the prices are higher as they are on all the islands. The so called “rainy season” is from October to January but the locals say it is barely ever rainy. The rain comes in short spurts and is mainly over night. April to August is a cheaper time to go but as mentioned it can be hotter with less wind. 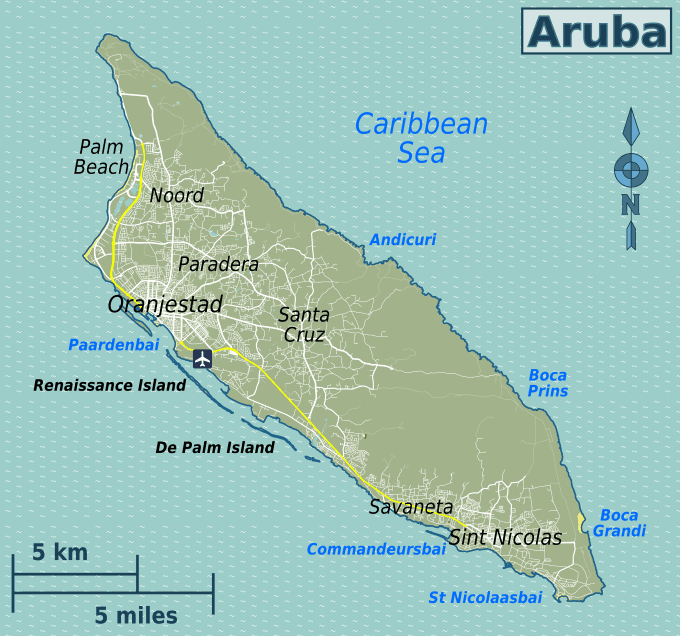 Aruba is a tiny island only being 20 miles long and 6 miles wide at it’s widest point. There are a lot of accommodations offered on this island. If you are wanting to be in one of the high rises and on a very popular beach you have many to choose from on Palm Beach. This is located on the north part of the island. It provides lots of night life and great accommodations for families. 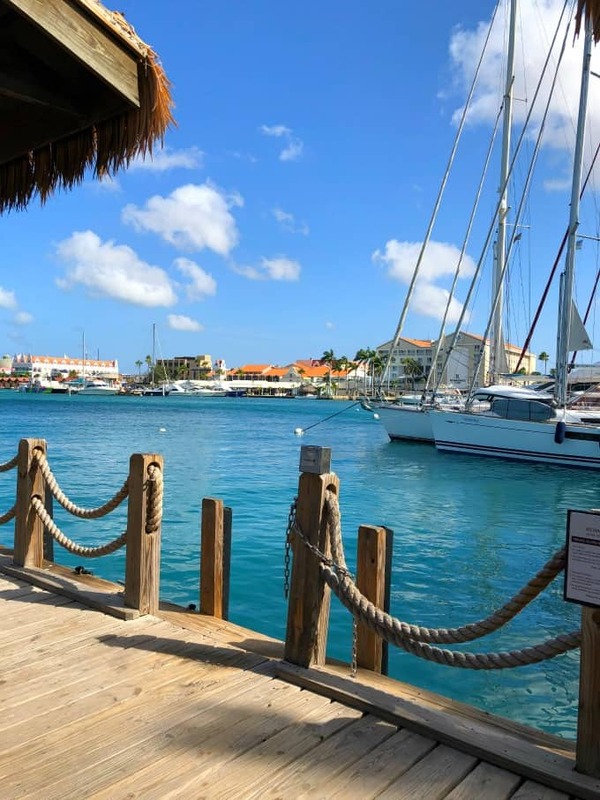 The capital of Aruba is Oranjestad which is southern to Palm Beach and it is a location that is recommended for your first visit to Aruba. Are you on more of a budget? Then Eagle Beach is recommended and it is located between Palm Beach and Oranjestad. How to Get to Aruba? You can get to Aruba by air or sea. 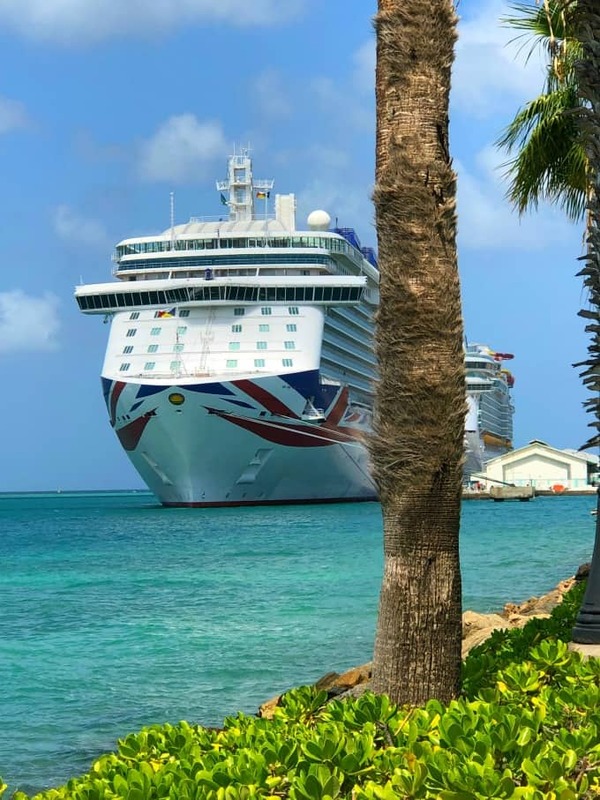 Many large cruise ships pull into Oranjestad for shopping or excursions. Ask your travel agent what cruise or flight best fits your needs. If you want a quiet day shopping look or ask about the cruise ship itinerary to see when they will be in port and avoid those times or days. We initially stayed at Divi Village Golf and Beach Resort which is on Divi Beach and has one of the prettiest beaches around. This resort was part of a huge grouping of resorts and had plenty to offer for families and adults. To get around to the many restaurants, casino, pools, beach and more there are easy shuttles that provide transportation for you. Cabs are also easily available if you are wanting to venture further off the property. 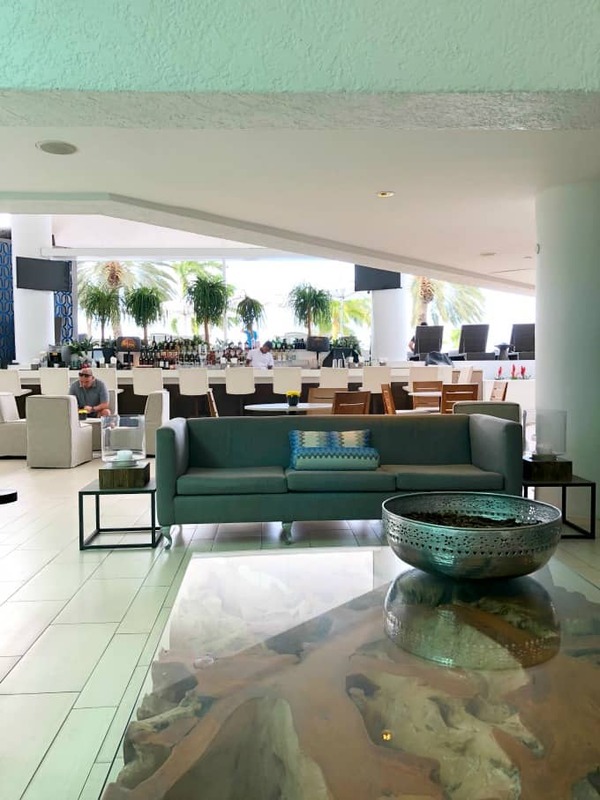 We also stayed one night at the Renaissance Aruba Resort and Casino. 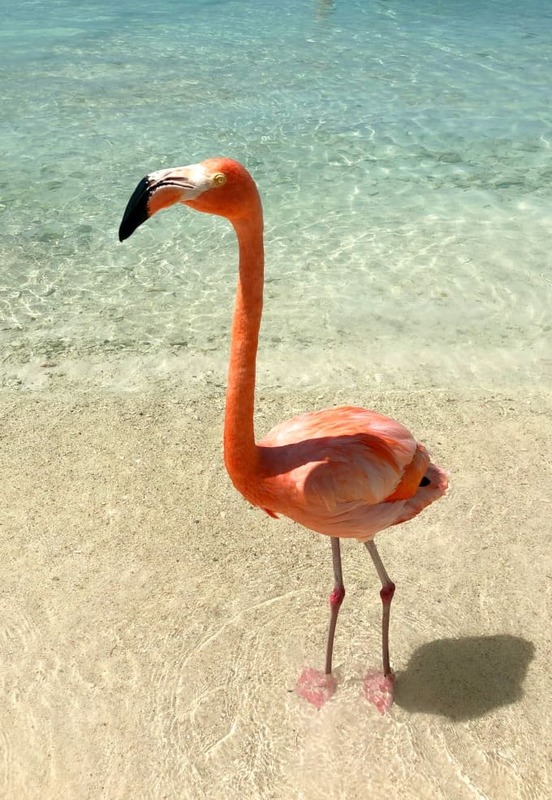 This hotel has a private island that you can access if you are staying on the property even providing you boat transportation to and from Flamingo Beach. This for myself was the one highlight of Aruba and a huge draw for me to go. 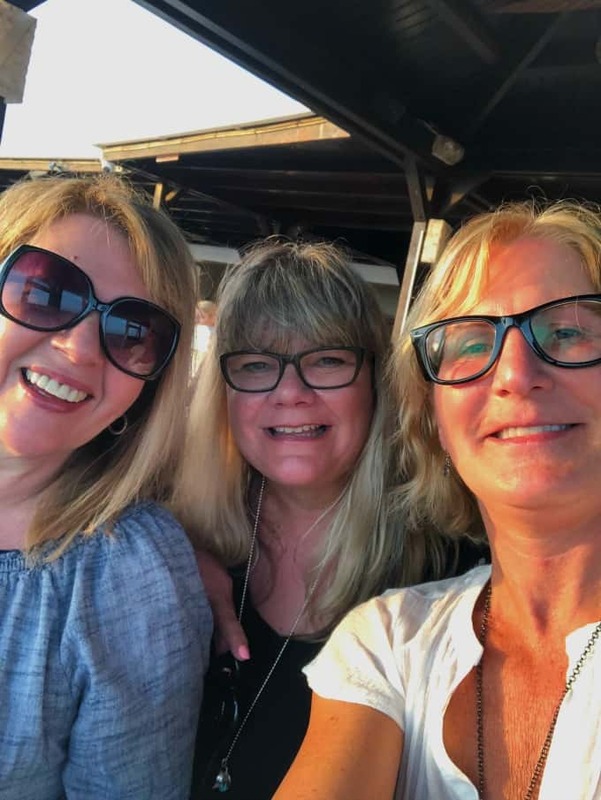 Aruba was number one on my bucket list for many, many years but my husband didn’t want to go so off I went with my girlfriends. Aruba provides so much and has a big returning visitor percentage of about 67%. Of all the people we met, all of them were returning visitors to the island, many coming back year after year for decades now. I treated the ladies to a cabana for the day, which was $300 US. So worth it in my mind for an absolute divine day. This was like a slice of heaven. The cabana comes with 2 bottles of Voss still water, 2 bottles of Voss sparkling water, bottle of sparkling wine, refreshing food amenity, personalized cabana butler service, towels, 2 water floats and 2 full face-snorkeling masks. 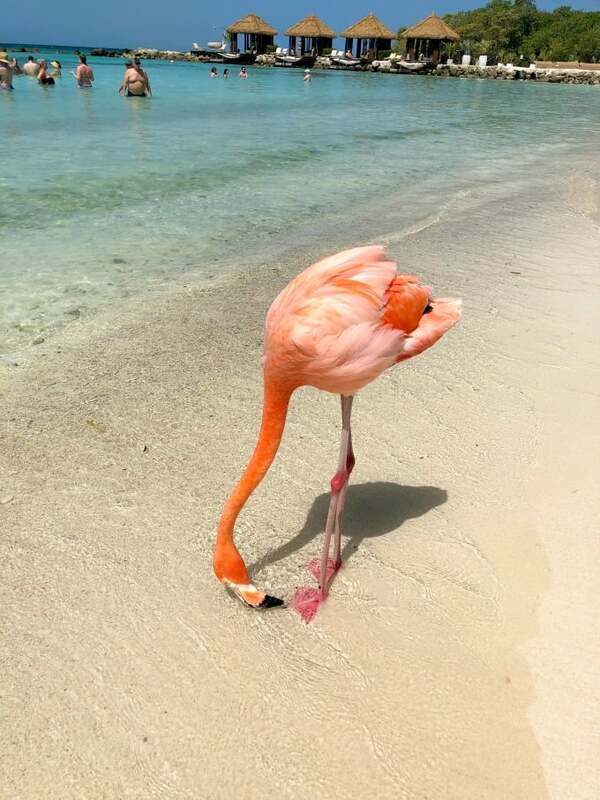 On this island the wildlife roam free where you can walk with the flamingos. You can also feed them and watch them endlessly from the cabana and on the beach. One important tip I have if visiting this island is to bring water shoes. The water and sand in the pictures look beautiful and easy to walk on but there is a line of very sharp coral that you must pass over. Water shoes would make this a breeze, otherwise is it like walking on legos, lol!! The flamingos are truly spellbinding and can be watched for hours as they feed and preen all day long. At the end of the day they pack up those long legs and paddle off to their evening nesting grounds to rest up to come back again another day. Snorkeling is available right off the cabana with snorkeling gear provided. 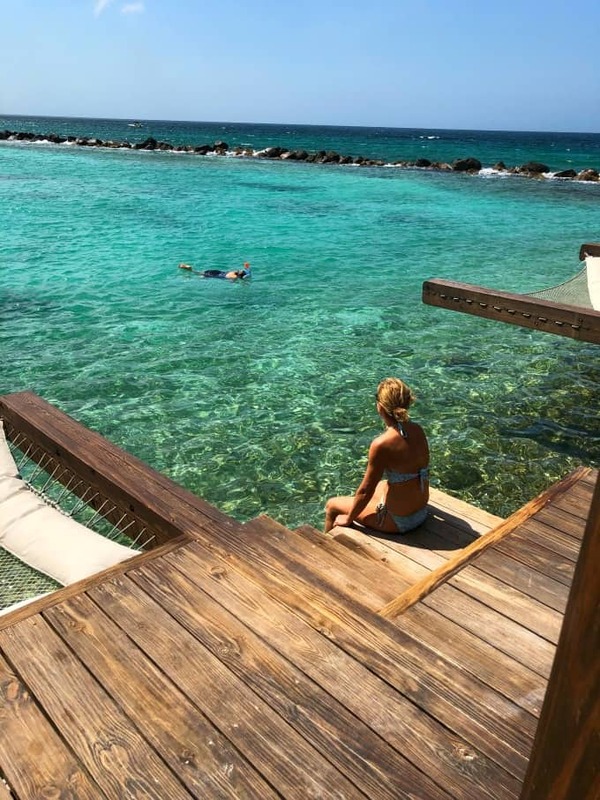 One of the best locations in Aruba to snorkel is on Arashi Beach but there are other locations to choose also like Boca Catalina, Catalina Cove and more. 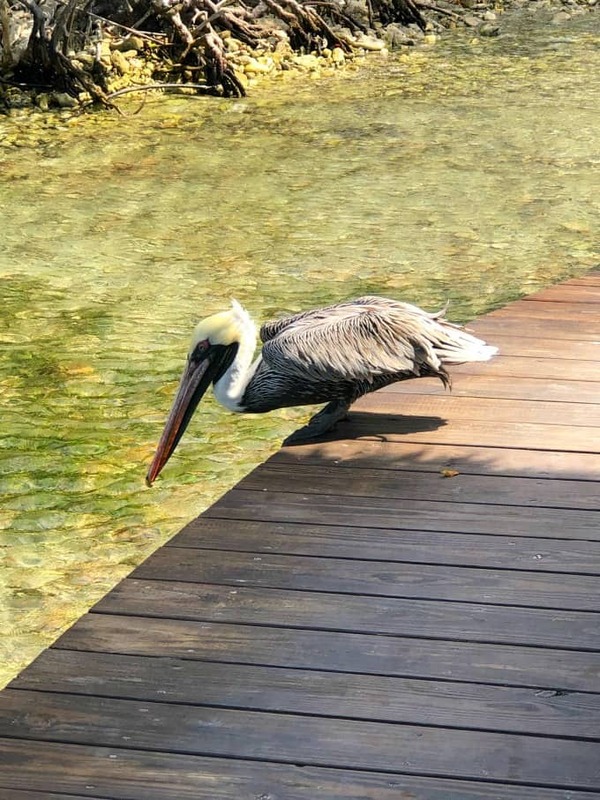 This pelican was busy catching fish all day right behind our cabana. He was different looking than the other pelican with his pretty yellow and white head and neck. The day provided lots of time to catch some rays and relax in a hammock right above the water. 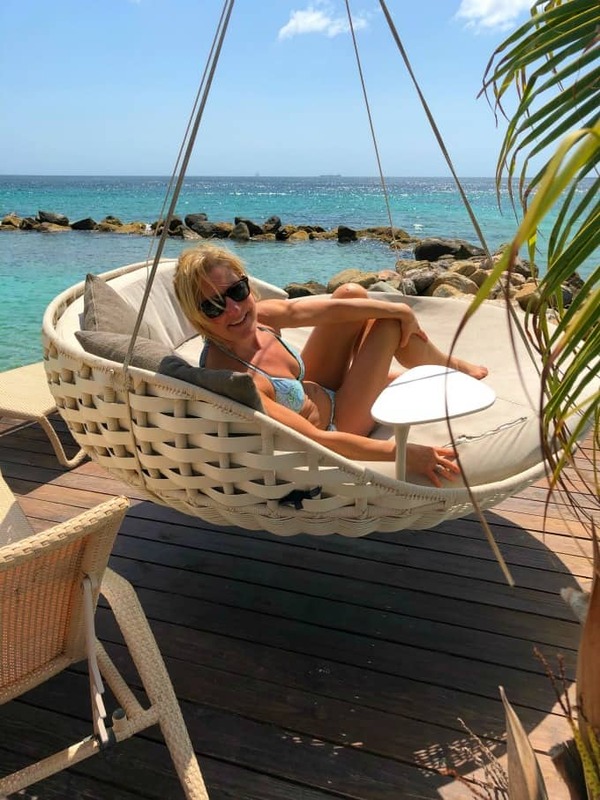 Or swing in the breeze in a very comfortable lounger!! This was available only in the last cabana. 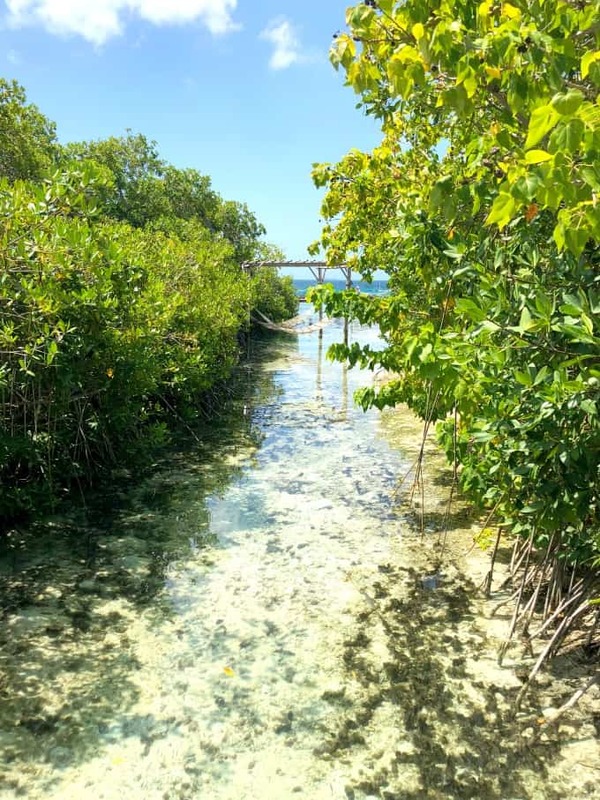 There are even hammocks in out of the way places like these two serenely hanging in the mangroves with colorful fish swimming beneath you. Also on Renaissance Island is Iguana Beach which is for families. 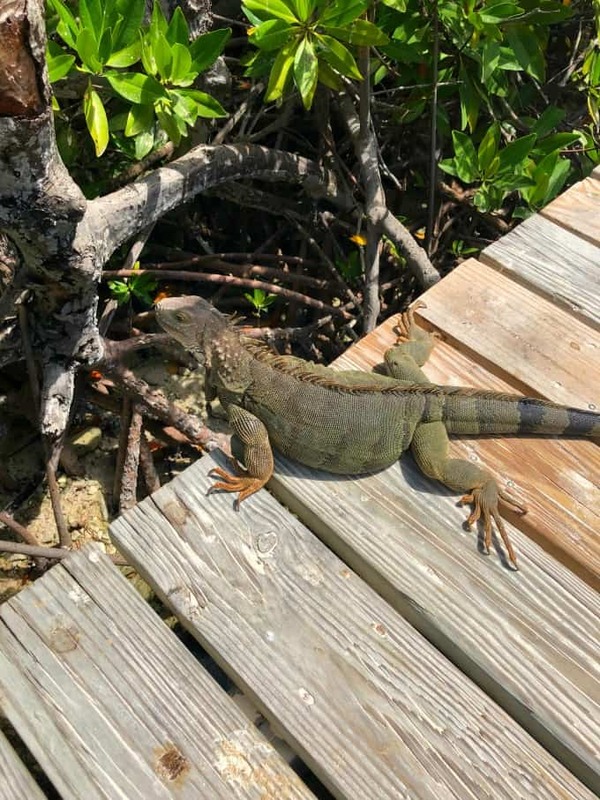 There are many of these very peaceful creatures roaming around the island. They are fed and well taken care of also. 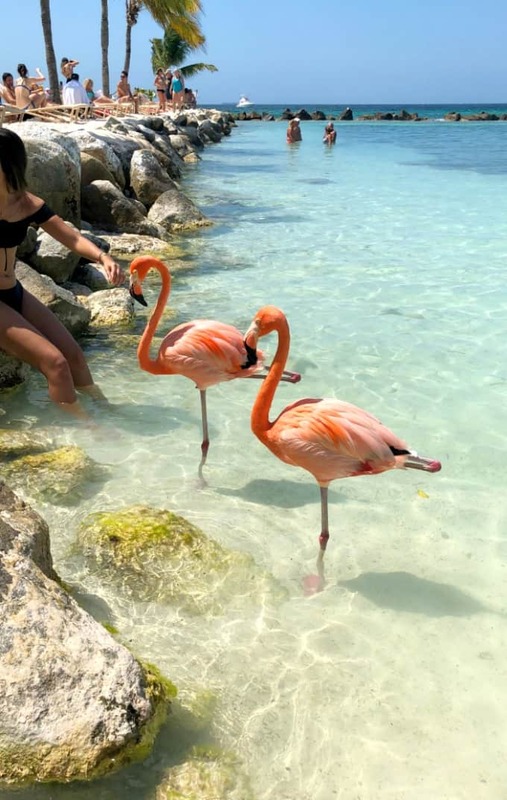 Also offered in Aruba is De Palm Island where you’ll find all-inclusive food & beverage, snorkel equipment and snorkel tours, a water park, zipline, unlimited banana boat rides, beaches & beach chairs, air-jumpers, beach activities, salsa lessons and more. This island is located south of Oranjestad. On our short boat ride over to Renaissance Island I also saw Splash Park Aruba which looked like a fun water park for kids. Baby beach has adventure galore with off-road vehicles. The lagoon there is sheltered and man-made and shallow and perfect even for small children. It is located on the south tip of the island. 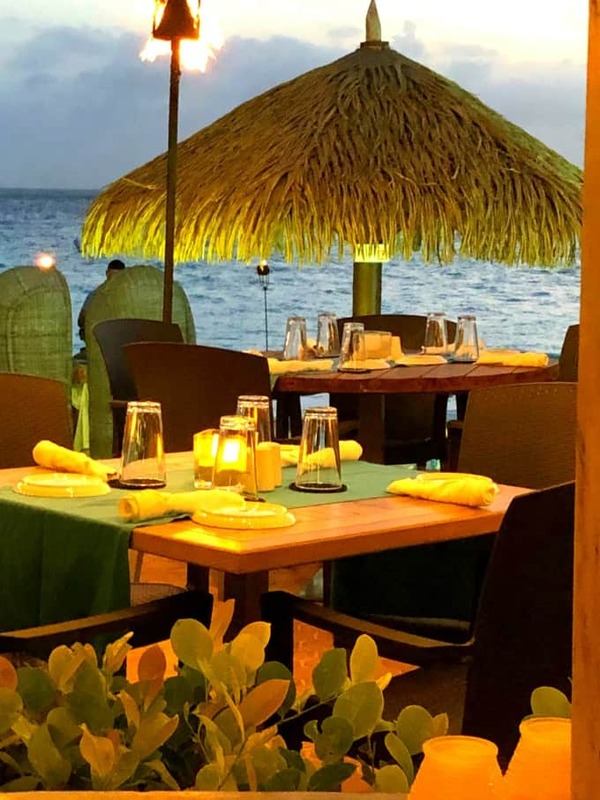 Where to dine in Aruba? There are many, many choices. This restaurant is right on the water and is called Matthew’s Beachside Restaurant and is a popular destination. Aruba serves a lot of seafood of course being an island but is quite American in its approach. Nothing on any of the menus seemed foreign to me. I think this is one of the attractions Aruba has for its returning clientele, especially the elderly. You can find good food all over the island and dishes that you are familiar with. 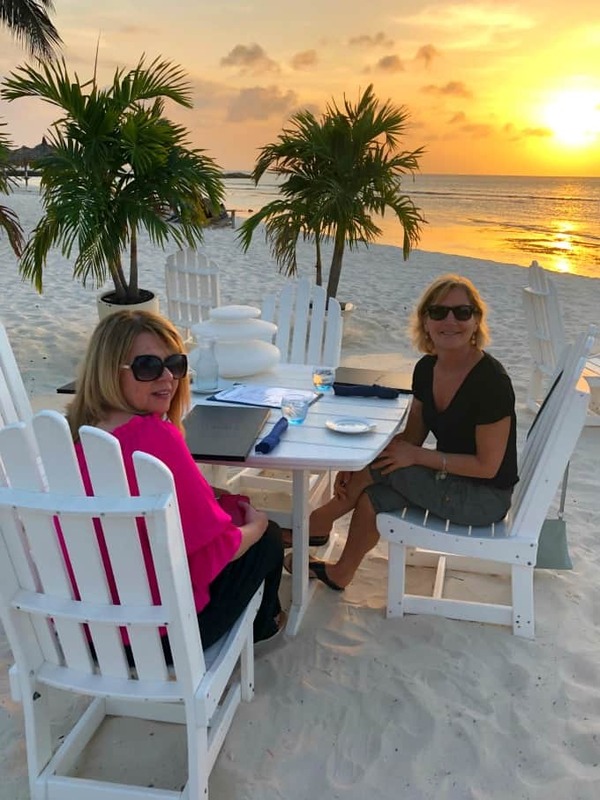 One of the prettiest locations for a sunset dinner and kind of hidden away is Pure Ocean. This is where you are literally right on the beach!!! I don’t think I have done that before. This is the lobster seafood martini and one of the best things I had on the island except for maybe their Crispy Coconut Curry Grouper. That was the best fish I think I have ever had fresh from the ocean. 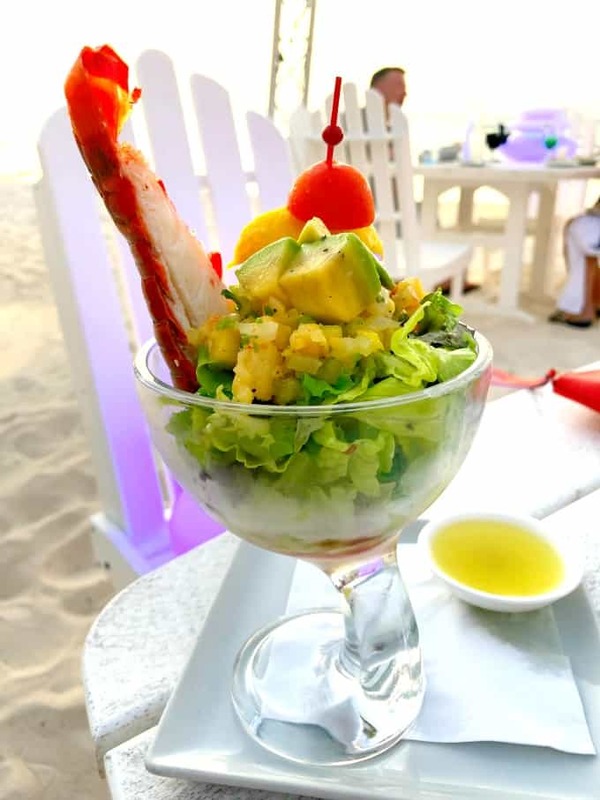 The martini was citrus marinated lobster, shrimp and scallops tossed in a martini glass with avocado, tomato and mango salsa. Simply heavenly!! There are lots of other suggestions too in this top 10 list. We also dined at L.G. Smith’s Steak & Chop House when we were at the Renaissance. The steaks were great and cocktails delicious. The grilled shrimp were enormous and scrumptious too. 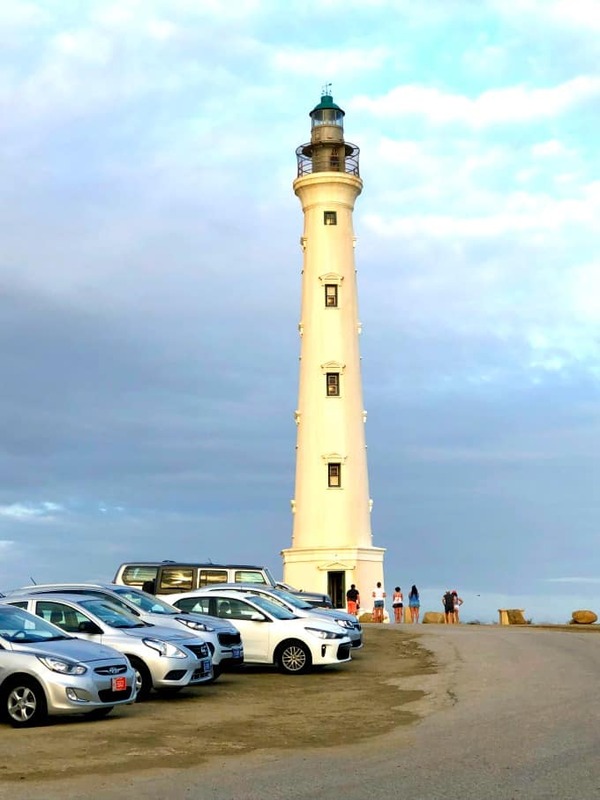 Another spot for an attraction and to see a great view is the lighthouse which is located on the very northernmost tip of the island. At this location we also found a gorgeous Italian restaurant called Faro Blanco Restaurant. 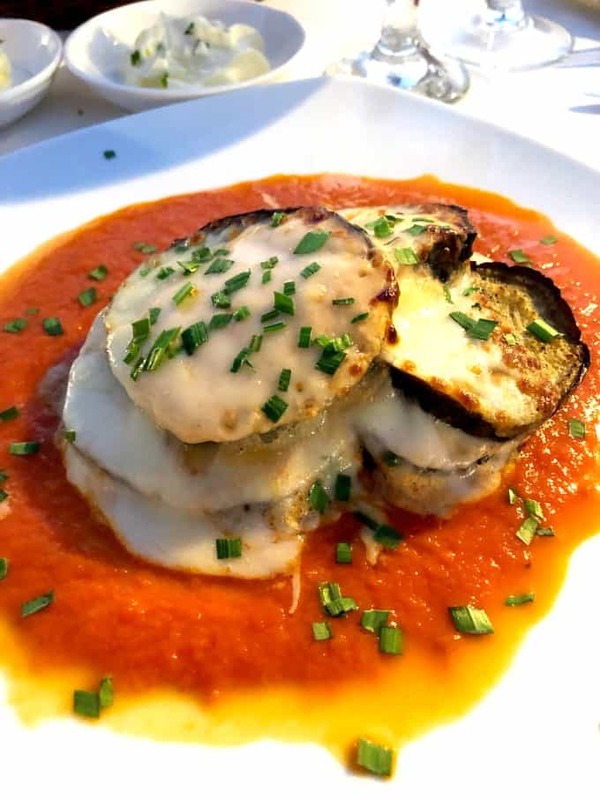 The Eggplant Parmesan was one of the best I had ever had. The ambiance is lovely and again a great view of the sunset. The pasta is made in house and it is pillowy soft and melts in your mouth under delicate delicious sauces. I also had a wonderful Old Fashioned Cocktail to start with and some wonderfully chilled wine to accompany the dinner. 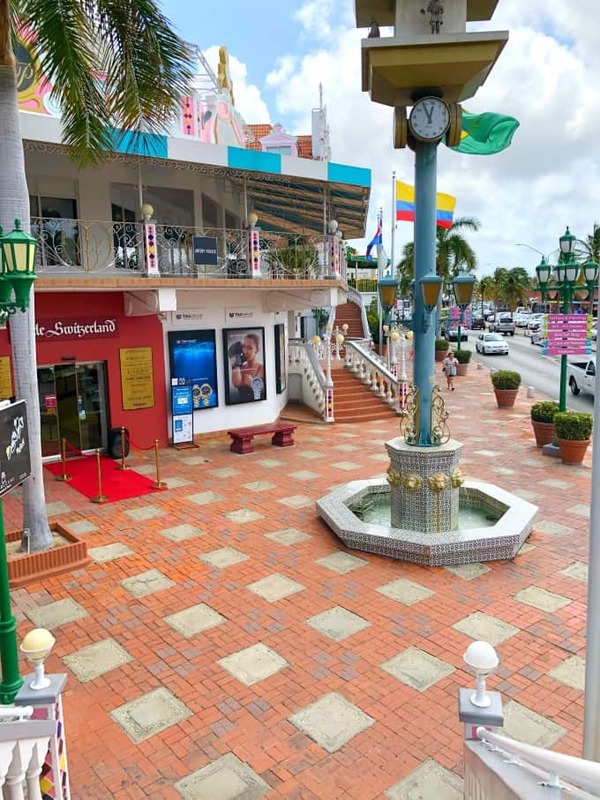 The shopping is mainly in Oranjestad and jewelry is the main hold of the area. Every trinket, bobble and high end gem can be purchased at many of the stores here. A real mecca for cruisers when they get off the ships. Along the beach side are the familiar huts with an abundance of tourist treasures and knockoffs galore. 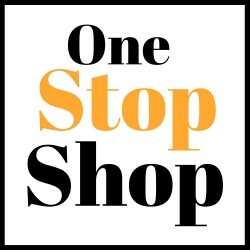 Other more unique stores are deeper into the mall providing clothes and accessories. Restaurants dot the area also. It is a fun afternoon of shopping and dining. Aruba is one of the safest islands to go to in the Caribbean, even day or night. This along with fresh drinking tap water, great food, a beautiful climate, easy accessibility by plane or boat and US currency is accepted everywhere make Aruba a destination that people return to again and again. It really is “One Happy Island”. As one of the cab drivers explained to us when we were there is that you are not a tourist when you get off the plane but part of our community. I LOVE that you did this as a girl’s trip – I know so many women who, if their partner doesn’t like to travel, they just don’t go. And no one should miss out on dreams and fun, 😉 And, I’m not even kidding when I say – this has totally inspired me to plan my own trip! Abby turns 10 next year, and I turn 40. We’ve wanted to plan a cruise, just the two of us, and hadn’t totally decided where to go yet. This has LEGIT put Aruba at the top of my list. Fabulous post – because you seriously got my excitement up!! I am so glad this has inspired you to do your own vacation. You will not be disappointed. Enjoy!! Aruba is so beautiful. We went a couple of years ago, and I fell completely in love with it. I can’t wait to get back again. Wow, what a lovely experience. An Aruba vacation sounds like such a good time. I’d have to bring along some friends! I have always wanted to go to Aruba but have never been able to afford it. It’s on my travel list and I’m saving this for when I get to go! Oh my goodness. I dream of going there someday. The waters look so amazingly crystal blue. I love the flamingos. I’d leave now if I could! Aruba looks so beautiful! There looks like there are so many beautiful bird species. I would love to vacation here with my family. Definitely on my bucket list. I have heard it was so pretty. Looks like a perfect way to celebrate the end of winter. I love relaxing vacations! Thanks for the idea. I would love to go to Aruba. I can’t believe these pictures. It just looks so beautiful. OMG! This is heaven! So perfect for vacations! Thanks for sharing the travel guide! This is the perfect travel guide to help me plan a trip to Aruba. I’ve always wanted to go but just didn’t know where to start so thank you!